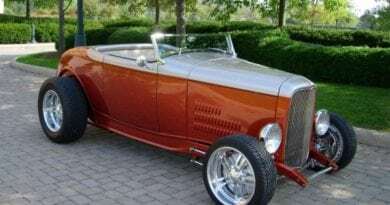 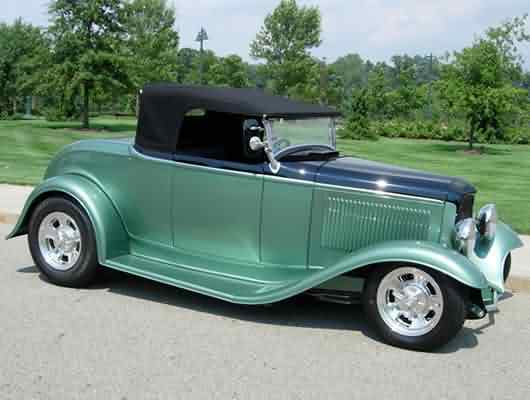 Outstanding Roadster with Steel Brookville body and Wescott fenders. 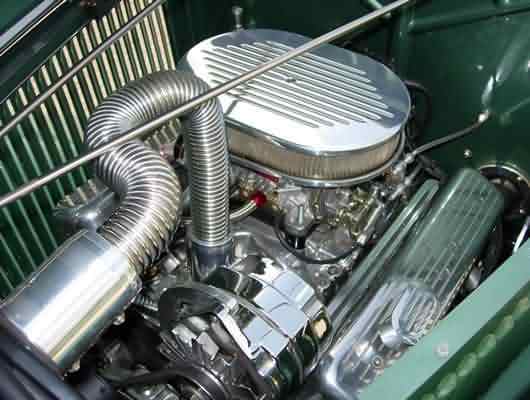 Chevy 350 engine detailed with everything polished , 350 trans. 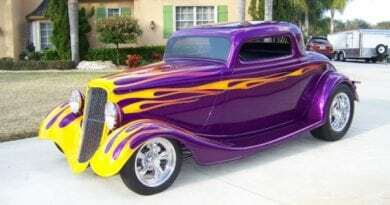 Heidt’s polished Super Ride front end, Ford rear,disc/drum brakes,heat. 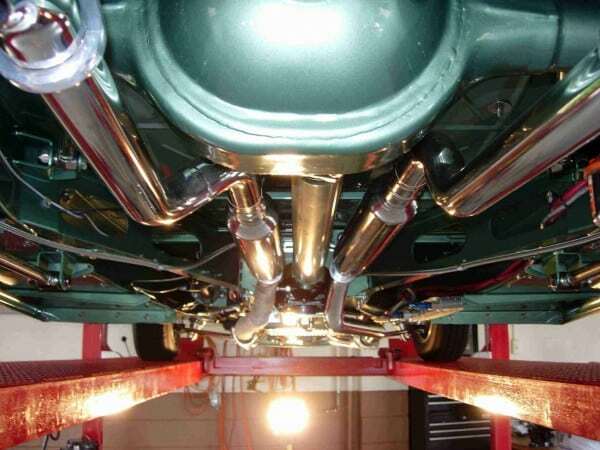 Under carriage completely polished and detailed in every way. 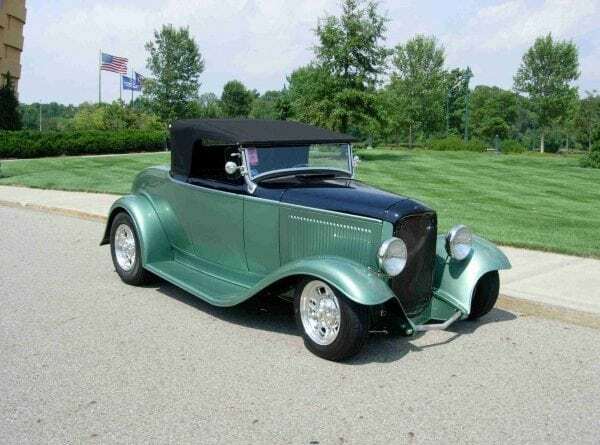 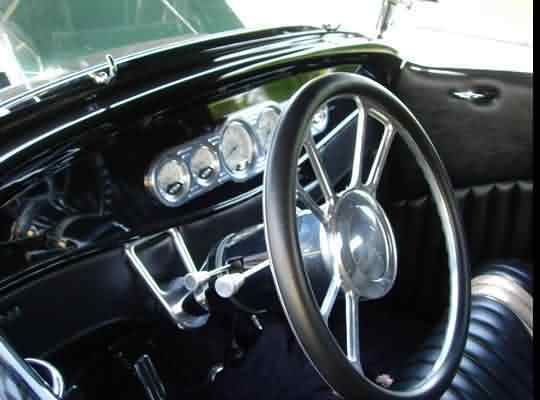 All Black Leather interior and rumble seat, polished tilt column, Billett steering wheel,Classic guages. 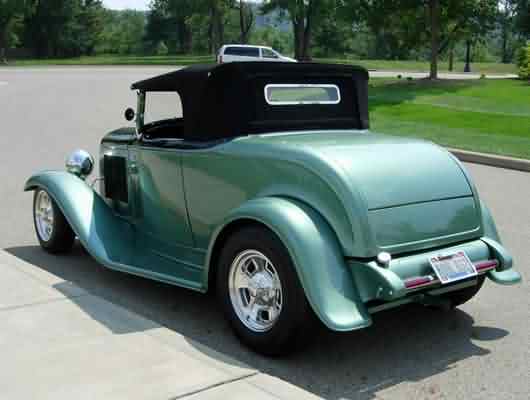 Beautiful two tone Black and Green Base/Clear paint, Billett Specialty wheels with knock offs. 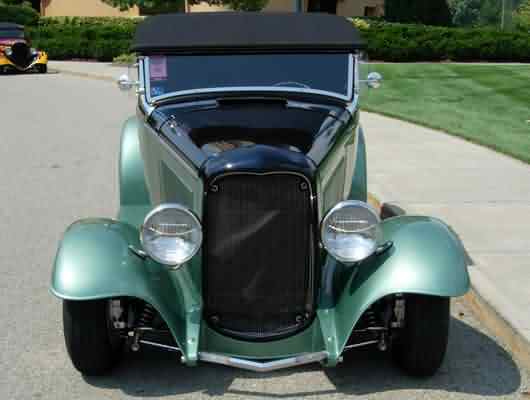 Commercial headlights Chrome spreader bars front and rear with turn signals and brake lights,polished grill. 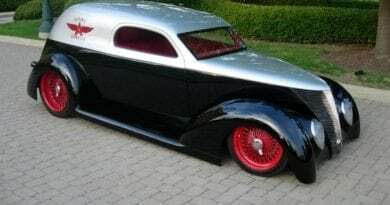 ← 1938 Chevy 2-door Sedan…..SOLD!